Forrest Blue, the Pro Bowl Center who led the San Francisco 49-ers to 3 division titles in the 1970’s, has died at 65 years of age. The cause of death is not specified. Blue was living at an assisted living facility in California. 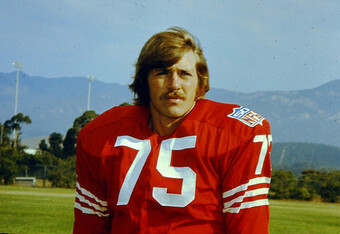 Forrest Blue was selected in the 1967 draft and he never missed a game for the 49ers. Blue founded the Forrest Blue properties Inc., after his NFL career came to an end and moved back to California.